When you have a website and Fan page for that site, then the daily updates should be shown in the fan page too as your fan page is visited by your fans regularly. The posts or articles or videos that you post in your blog or website as soon as it is published, need to be added in fan page too. Writing again the same points in your fan page is tedious when you update after your blog posts. Moreover you have not only one post that should be updated, but also you have more than one. With that your social online presence also should be updated like Twitter, Reddit, Pinterest, etc which also are related to your website or blog. Then in such cases, professionals take the use of "RSS" feeds that will directly update in the particular social networking site. 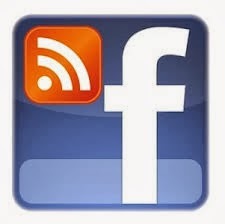 Simple way to share your website posts to all social networking sites: "RSS Feed". Really Simple Syndication, its full form, uses a family of standard web feed formats to publish frequently updated information like blog entries, news headlines, audio,etc. In Facebook fan page, you need your website or blog RSS feed URL to add to the app that will feed your post details with links. The app that is widely used is "RSS Graffiti"which automatically posts the article titles, images and links on your fan page. In Facebook fan page, type "RSS Graffiti"
Give the name to your new publishing plan then click "Create" button. Now whenever you post articles in your website or blog according to the feed details entered, they get updated automatically in the Fan Page which is set as target in the app. I have been using RSS Graffiti for over a year to feed my article posts into the Facebook pages that I have for the sites. Helps to also share them on your personal feed, in groups and to invite your friends to like your pages. It is really amazing for me to see you and your outstanding handwork again. Every aspect of your execute look outstanding. Getting thrilled about learning more from you!Very interesting post. I would like talk about here some amazing details about Facebook Development or my space or fb or fb or fb system i wish you would like them.